It is the eternal quest isn’t? The search for a racquet that you will stay with for at least a couple of years. You want more feel, then your shots land short and you want more power, then your arm starts hurting and you want comfort. But you lose power that way which is why you want power, comfort and feel in the same racquet. Can you have it? It’s all about a golden compromise in the end. What we should look for in our eternal quest for tennis gear is something that magnifies your strengths and minimizes your weaknesses. This sounds straightforward but isn’t always. Let’s say you have mighty hammer of a forehand and a weak backhand and you can choose between a racquet that makes your forehand into a lethal weapon but is a bit tougher on your backhand side or another racquet that makes your backhand better but reduces the strength of your forehand slightly. Which one of them would you choose? It’s difficult and it depends on a lot of variables, an important one being your playing style. If you’re a retriever (not a dog, but someone who fetches balls from the back of the court until the opponent tires and makes a mistake), then having a solid response on both wings can arguably be more important than that killer forehand. But if you’re an attacking player a killer shot is so vital to winning points that you’d have to settle for that less good backhand. And it’s all about winning points in the end, isn’t it? Hitting is great fun and removes the stress of match or points play, but it’s when you get into that extra tension of win-or-lose that tennis becomes an incredibly exciting sport to both play and watch on all levels. I named this post Power vs Feel because this is a very common dilemma for tennis players of all levels. It could also have been named Power vs Control or Power vs Comfort, but I thought the word “feel” summarized them in an apt way. Since the dawn of modern racquets and polyester strings there are two things that have stood out the most: Power and Spin. Older racquet models, from wood to the legendary Head Pro Tour 630, has been a lot about feeling the ball. Rallies were long and placement was more important than power. You would manoeuvre your opponent around, create space and win the point that way – often by closing in on the net. Today you can hit a winner from anywhere on the court thanks to better fitness and modern technique (allowed in part by modern racquets, especially larger head sizes so you don’t shank the ball), polyester strings (the ball will spin in despite looking like it’s going mighty long), and powerful (stiffer) racquets. 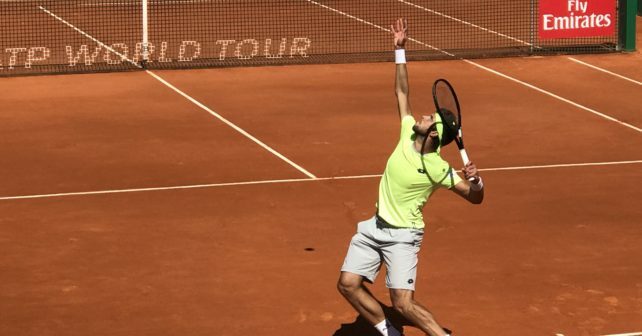 Looking at Dominic Thiem beating Pablo Cuevas in yesterday’s Madrid Masters semi-final was a great example of what tennis is now – power and spin. But, and this is a big BUT, the match was also an illustration of how complete players need to be to be successful in today’s game. It’s very difficult to find weaknesses in both Thiem’s and Cuevas’ games. They’re both very versatile players that can hit with both power and feel. And it’s absolutely amazing to watch. So modern tennis is a in a good place, but what that has to do with the kind of racquet you should choose is admittedly unclear. Like I stated above, you need to choose a racquet that accentuates your strength and reduce your weaknesses and still gives you enough comfort to not have to ice your elbow after every tennis session. 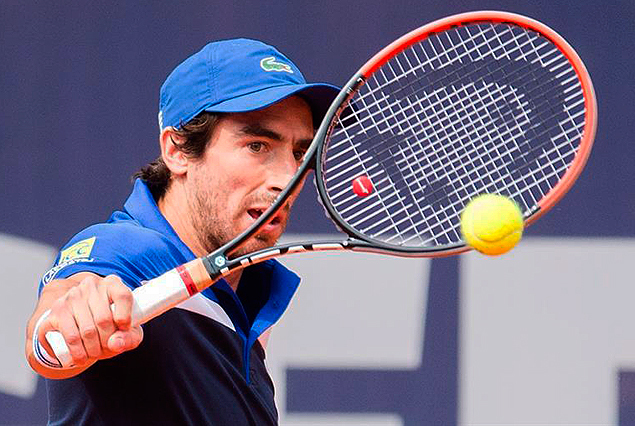 A lot of amateur players drool after the kind of power and spin-driven sticks that Babolat produces to great success. Such as Rafael Nadal’s Pure Aero (although he uses an older version of it) or Dominic Thiem’s very popular Pure Strike (probably also the older Pure Strike) but then they end up using them and get too much power or arm pain and then they get a classic arm-friendly stick and many shots land short. It’s an eternal dilemma, but I think it’s a part of a natural evolution of your tennis game. I’m myself constantly finding myself switching between the Tecnifibre Tfight 315 Ltd and the Yonex Ai 98 and I really enjoy both racquets in many ways but sometimes I just feel like it would be a nice with a little more power such as in a Pure Drive or Wilson Blade 98 . I don’t know if I will give in to this craving or not, but its’ tempting. I will probably end up with my old sticks anyway. It’s usually the way it goes. Lots of rambling and not a lot of great advice I know. I’m just curious where you are in your racquet journey and what you’re looking for in your next racquet. Please comment below. I have enjoyed reading your blog for a few months now; really interesting articles about the game. This post hit the mark today in particular as I’ve been trying out a few racquets of late. I used to play with the Pure Drive Roddick with some success (basic baseline grinding/serving game) but ended up getting elbow problems from playing squash (with a squash racquet, not the PD…) and had to switch to softer frames. After going through a few softer racquets, such as the Prince O-port, I’ve recently settled on switching between the new iteration of the Wilson 6.1 (excellent stick, but it doesn’t make tennis ‘easy’), plus the new DR98, which I haven’t played with enough yet to really comment on. I actually tried out an Aeropro Tour today, thinking I may revert back to a power/spin game, but I think I have got used to smaller head sizes and more control. Time will tell if my game can adapt enough to an ‘all-court’ approach. Anyway, I thought it was about time I left a comment. Thanks again for your articles and keep writing. Thanks for your comment, Stuart! Really appreciate it. The quest seems eternal, but it’s fun and takes some time and load off more boring things, right? The Wilson Six One 95 has deserved legendary status and is a great racquet, but it is getting heavy these days. I’m also a fan of Yonex AI and DR 98 racquets, but sometimes I feel the AI is too soft, especially when playing against defensive masterminds. What I’ve started doing is bringing 2-3 different styles of racquet to the court, but that’s just because it’s so much fun to see what happens to your game when you switch it up. Might not be recommended for tournament tennis however! I am in the market to switch frames. I am currently using the Technifibre 305 and do like the maneuverability, touch, and arm friendly feel. Unfortunately, I am still trying to play at a high level against younger players and need more power and spin to keep up. My strengths are serve, volley, backhand, and feel (angels, touch, etc.). I had played with the Babolat Pure Drive and played well, but it did not offer much touch and I started to have both elbow and shoulder pain. That is why I switched. Any recommendations on a newer racquet that has power, spin, and feel? I know it sounds like a unicorn but if it exists, I would be interested in it. You’re asking a difficult question and I’m referring to power, spin and feel! Right now I’m becoming a fan of the new Babolat Pure Strike but I’m a bit concerned about my joints as well regarding that one so I wouldn’t recommend it a 100% if you have arm problems. If you want touch, decent power and spin I would look at the Yonex DR 98 or DR 98+ or a Wilson Blade 98. They are both excellent versatile racquets. Remember that strings play a big role in racquets as well! I am the most famous racquetaholic of Southern Spain. People make fun of my habit of changing racquets in the middle of training or match-playing. I enjoy winning one set with one kind of racquet, and then winning the next with a different one (or losing and blaming the racquet LOL). I’m still young (35) and fit, but I am small (5’4) and have a chronic knee injury (ligaments), so after a long process of trying a lot of racquets I’ve settled on slightly extended length and 105 square inches racquets for matches. They allow me to play more on the offense, focus on strategy and move my opponent, as well as being more effective on defense. Sometimes my arm is unhappy, but my knee is always very grateful. When I am playing for fun I use a great variety of racquets, but when playing seriously, I’ve learned that I benefit from 105 inches and a bit more reach. I am currently playing with an old Prince o3 Red, with a shrink sleeve on the handle that makes it stable and arm friendly; it now weights 328 grams strung. Very interesting blog. Keep up the good work. Thanks for your comment. A lot of us are racquetholics here at Tennisnerd, so you’re among friends! Sounds like an extended length oversize racquet works well for you and we should all play with the racquet that gives us good results, enjoyment on the tennis court and no pain.